1. I will always cherish the beautiful memories of our childhood, the games we payed, the holidays we went to as you are my sweetest brother who has always suppoted me. HAPPY Rakhsa Bandhan my dear brother. 3. I am proud to be your sister. You always support me for my every step of my life.You are realy special of my life.I love you Bhiya. Happy Rakhsa Bandhan. 4.Sister is someone who is caring and sharing. Sister can understand things U never said. She can understand the pain, which is not visible to anyone. I love my sister..
5. Brothers are like streetlights along the road, they don’t make any distance but they light up the path and make the walk worthwhile.Love u Bro. 6. 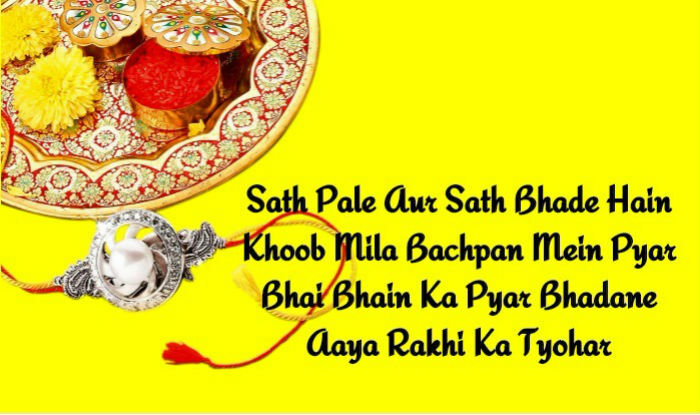 A brother is a friend God gave in gift; a friend is a brother ur heart chose for u.Happy Raksha Bandhan..
7.May this Raksha Bandhan bring U all the prosperity and good luck in your way of life. 8.We laugh and cry, we play and fight. We shared moments of happiness and sorrows, which made our bond stronger. Happy Raksha Bandhan to U Sister. 9.To my sweet angel like sister,May god bless U with loads of happiness, health and wealth. Happy Rakhi Bandhan. 10. No matter the distances between us, my rakhi will always reach on time, to be tied on the wrist of my loving brother with the heartwarming wishes of joy and happiness to illuminate your life. 8 reasons why your business Needs a professional website !